Headed to the Edinburgh Fringe Festival in Scotland for 21 shows! I threw down an incredible 16 shows in an unprecedented 4-week Los Angeles run this month. Now, I am frantically packing (gave myself 1 week to turn it all around) for my first INTERNATIONAL TOUR in EUROPE! Thank you Kickstarter donors!!! Buy tickets to my show in Edinburgh here! I play a 10:30am slot the first two weeks there and to lure you in we are serving FREE BREAKFAST for all of you who wake up to come! The third week I move to 7:00pm! These are crazy times. As evidenced by my lack of blogging. Sometimes you just got to sit on the present and not stop to write. Let the Kristina Wong Panhandling tour of 2012– Begin! Yet again, I shake my hobo cup out to cyberspace, bow to generosity of friends, fans, family and total strangers as I launch yet another Kickstarter campaign. This time to get my show Going Green the Wong Way up in my first international tour at the Edinburgh Fringe Festival this summer. This is the the third time in two years I’ve tried crowdsourcing and the first time I’ve tried to raise this much money. Oh believe me, I don’t take people’s generosity for granted. 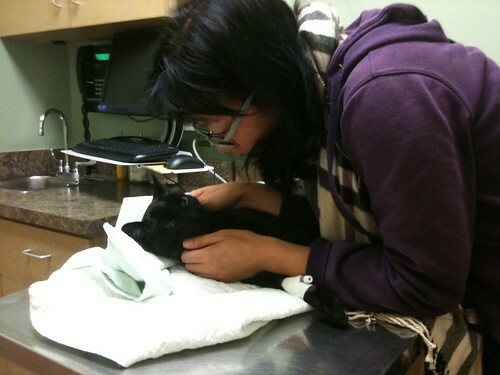 And I’m getting a little shy about doing this AGAIN after having just done this less than a year ago. I don’t like to be known as a cyberbegger, but what choice do I have? I’ve managed to get turned down for three funding applications in the last few months. My track record of “getting all the grants” is steering in an odd new direction of rejection letters and deferments. So it’s Kickstarter or debt. It certainly is a lot of work to do a fundraising campaign. I am doing the work of a PBS telethon all by myself, including handsewing my perks. I went back and forth about whether or not I should try to raise this amount, or shoot for something that seemed more attainable. After a lot of thought, I decided to take a big risk and ask for the full amount of what this project will cost to produce. The prospect of 16k in credit card debt was motivation enough to get me moving in this direction. Even doing the math, a $5 contribution from each of my 3500 Facebook friends (some deceased, fake accounts I accidentally approved, and other profiles not in commission) will not yield what I’m attempting to raise. But I have a lot of faith that I’ve created an enticing campaign filled with perks galore. My parents have even volunteered to make thank you calls to donors at the $250 level!! Right now, I need to average $266 in donations to stay on target. In two days I’ve raised 5% of my goal. I feel so lucky. And I’m letting that love energy from my supporters take me to the promised land. I wrote this blog last year about how I made crowdsourcing work for me. 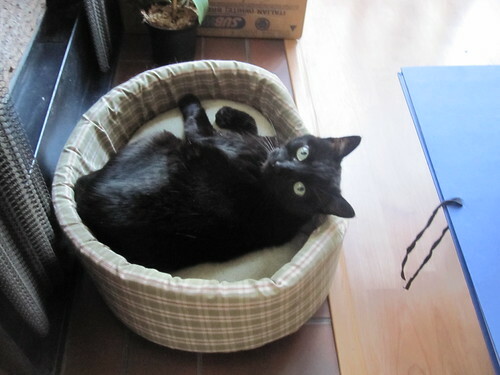 And I plan to document for xoJane what other levels of humiliation I will stoop in my pursuit of this goal. It’s all part of the plan baby. If I can do this, anything is possible. 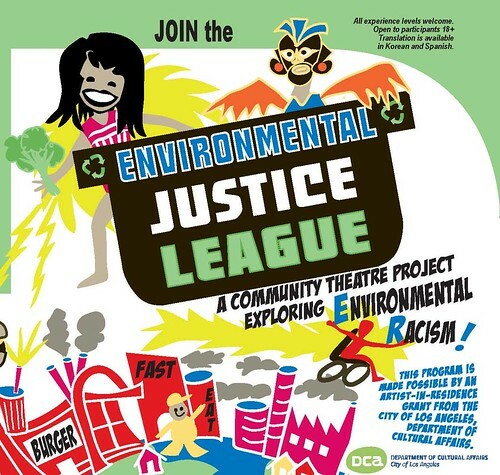 JOIN THE ENVIRONMENTAL JUSTICE LEAGUE! It’s my fourth Artist-in-Residence grant award project! And I’m doing something totally different than I’ve ever done before! Want to develop your writing and performance skills? Want to learn about the impact of pollution and lack of healthy food access on low-income communities? Learn about collaborative theater making, puppetry, and working social issues into theater. In this innovative eight-week workshop, participants will get an overview of environmental justice issues and craft that knowledge into a fun, informative, and original performance work. * Guest workshops include puppeteer Paul Zaloom’s “Theater of Trash Workshop”! * Toxic Tours Field Trips! * Be a Green Superhero! *WHEN: We meet and rehearse Saturdays 4/28- 6/9, 1-5pm, Special “Toxic Tour Field Trip” on 5/5/12 at 9am- 4pm (mandatory for participation), Final show for the public on Saturday 6/16 at 2pm! *WHERE: William Grant Still Art Center, 2520 West View Street Los Angeles, CA 90016 Some additional rehearsals on weekday nights may take place at other rehearsal spaces in District 10. All experience levels welcome. Open to participants 18+ Translation is available in Korean and Spanish. Participation is by application only. Commitment to sessions and participation in final show is required of all participants. 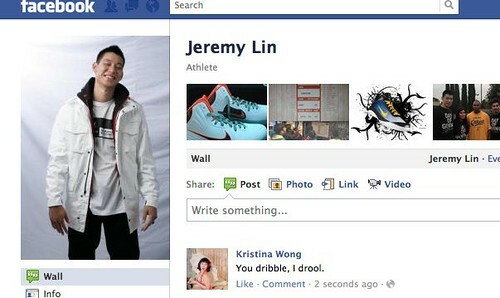 How many more Jeremy Lins are out there? My newest commentary for Marketplace about Jeremy Lin and the untapped potential everywhere aired on Friday. Click here. Enjoy! I sorta burnt myself out writing about him. There might be more commentaries on him though depending how the rest of the season goes or if he responds to my rash of marriage proposals I’ve thrown out on Facebook.